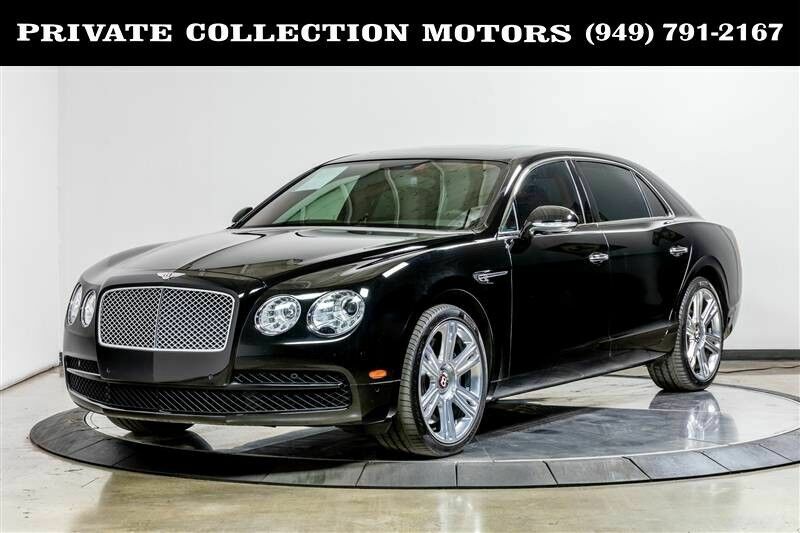 This 2016 Bentley Flying Spur is proudly being offered for sale by Private Collection Motors. It is finished in a Black exterior accompanied by a Red leather interior. The color combination is stunning on this Flying Spur. It has only 30,000 super low miles. The ride quality is Bentley plush and the air suspension offers four levels of damping, with even the softest keeping the body under tight control when asked to deal with asphalt that has seen better days. This Bentley was purchased new in California and has remained a sunny California car. It comes complete with 2 keys and floor mats. Stop by our indoor showroom to check out this Flying Spur. We are open Monday - Friday 10 am to 7 pm Saturday 10 am to 6 pm and Sunday 10 am to 3 pm. Let our 100% eBay feedback speak for our cars and sales staff. For all of our out of state buyers, we can help facilitate shipping to anywhere in the US. We welcome pre purchase inspections on all of our vehicles and trade ins too. For more information please contact our experienced sales staff at 949-791-2167, we look forward to hearing from you.